Survival Tabs are gluten free, non-GMO, made here in the U.S., have a 25-year shelf life, compact, lightweight, nutritionally complete, very affordable and the perfect food. 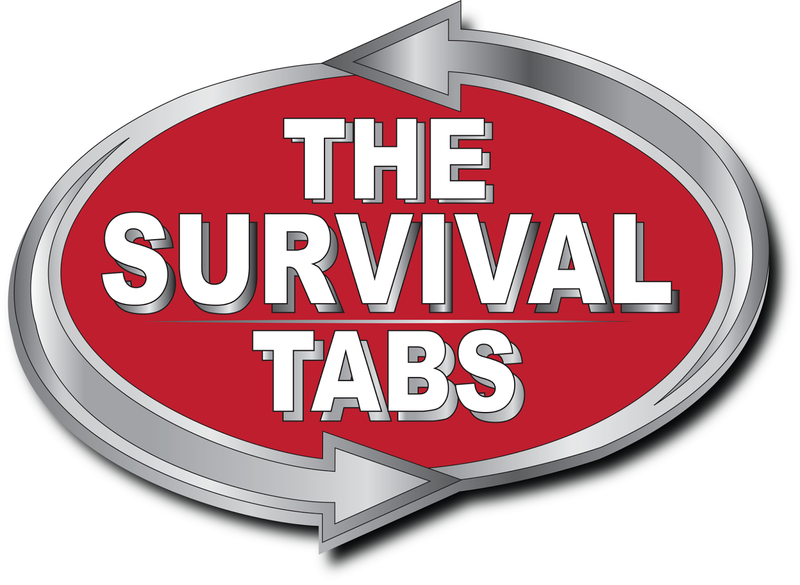 Survival Tabs has been in existence for at least 40 years and are located in Westminster, California. The product came to life when the space program began looking for food that could be consumed in space. The food needed to be easily digestible while explorers were in orbit. Survival Tabs fit the bill. They also work for working people who may not have enough time to prepare, then sit down for a meal. Considering how affordable the tabs are, one might be inclined to try them just to save money on groceries. One could eat for 15 days straight for a hair under $40.00. That's cheap! We've tried each of the four flavors (Butterscotch, Chocolate, Strawberry and Vanilla Malt) and we like them. Each has a somewhat odd taste to them. But, they are good and this writer is extremely picky. We wish that we weren't. But, we are. If you're looking to purchase Survival Tabs the website can be confusing as to the differences between the bottles. There are 2-3 variations of the same flavor. However, the company affirms that there is no difference. You may also purchase the tabs from Lohas Farm and Amazon and why not? They last. A real long time.